One of the best banks that offer the best financial services whether in personal or business banking is Glacier Bank. Since people are now commonly using credit cards wherever they are, it is necessary for them to have a card that provides all the features they need. And of course, who wouldn’t want a credit card that offers rewards for every purchase? With Glacier Bank, not only will people have the power to purchase what they want, but they also get rewarded for it. 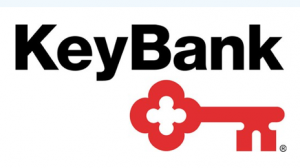 Glacier Bank is located in almost 50 communities nationwide with 97 banking offices in Utah, Colorado, Idaho, Montana, Washington, and many more. This bank is indeed very accessible because of its many branches. 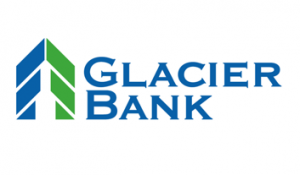 Glacier Bank has $863.997 million worth of stockholders’ equity and total assets of $7.251 billion. For many people, Glacier Bank is the place to go when it comes to financial services. For those who are looking for a credit card that can give rewards, travel privileges, and cash backs then this card is the answer. With the Maximum rewards VISA card, a point is earned for every dollar spent with all the qualifying purchases. These points will then be collected and can be redeemed either in gift cards, travel discounts, and many more. On the other hand, with regards to interest charges and rates, the introductory APR or annual percentage rate for the first 12 cycles of billing is 0% and after the 12 cycles, the APR will be 13.99% to 19.99%. The rate will then be based on the account holder’s creditworthiness. The monthly and annual fees are also of free charge and for those who will make delayed payments; the charge for it is only up to $35. Credit cards have increasingly become a necessity in everyday financial transactions. With constant use and the numerous financial providers, consumers have become more diligent in finding the right card for them. 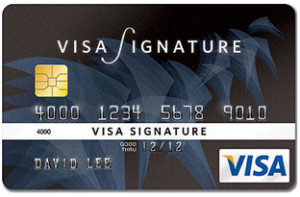 One kind of credit card that people, especially women, would love to have is the Visa signature card by Meridian Bank. 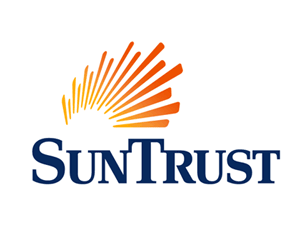 This bank is very famous in terms of their credit cards as well as their saving services. 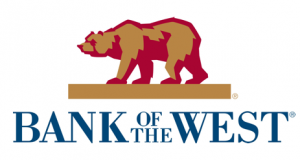 They also offer loans, mortgages, and many more. So to those who need financial aid can find what they need at Meridian Bank. Meridian Bank’s Visa signature card offers competitive and well updated rates that will help in expanding the purchasing power of the account holder. There are also many rewards and privileges that will help members gain more for monet money. Aside from that, cash back rewards are also being offered making the card more enticing indeed. In terms of billings, a zero introductory APR is offered for the first six cycles of billing on all purchases as well as balance transfers. 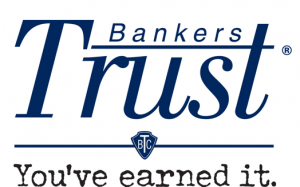 There is no annual fee with the premier rewards card and unlimited 1% cash back is offered wherein the account will earn one point for every dollar spent using the card. Once the points are accumulated, rewards that can be redeemed include round trip airline tickets, gift certificates, and different merchandises. Owners of the credit cards will surely be able to choose among the various rewards. With all these features plus a rewarding point system, it’s no wonder many clients choose to avail of the Visa signature card at Meridian Bank. Credit cards are now good as cash especially since the number of establishments who accept this mode of payment is now steadily growing. Being able to pay for purchases such as groceries, gas and entertainment with just one swipe has proven to be so convenient that consumers are clamoring to have not just one but multiple credit card accounts. If you’re looking for another card to add to your wallet, you may want to consider getting one from Chase. Right now Chase is offering the Chase Freedom credit card that features a lot of cash back rewards that are truly enticing. How do the credit card holders acquire or gain the cash backs? The first is the 5% cash back which can be earned by acquiring 4% on bonus categories and 1% on all purchases. Any cardholder can have this as long as the card account is not in default. This cash back can be spent up to $1,500 bonus in any categories offered by Chase. Next is the $100 cash back. When owners of the card will earn 10,000 bonus points or will make a total of $500 on all purchases for the first three months of opening the account then he or she will be able to redeem it into cash. This is another great benefit for those who love to shop. On the other hand, the pricing and terms are very agreeable. For the first 15 months, a 0% introductory APR is offered on all balance transfers as well as the purchases. After the introductory period, 12.99%-22.99% is the variable APR. There are also no annual fees which makes the card easy on the pocket. There’s a lot to love with Chase, so why not go get one now. Credit cards have become a necessity. Credit cards are commonly used today because these are accepted by all establishments. Many individuals would just immediately get their cards and pay for all the things they will be purchasing. It is very important that people own such in order for them to have something that they can also use wherever they will be going since such cards are accepted everywhere. One of the banks or financial institutions that offer the best deals in terms of credit cards is FNBO. 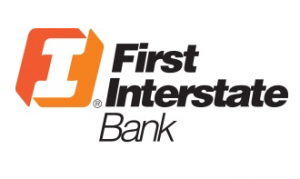 This stands for First National Bank Omaha which has a strong and stable banking heritage that started some 150 years ago. With this background, people are then assured that they can trust such company and will have the best services possible. And one of the best financial services they have is the Extra earning Visa credit card. People will really have the best in terms of credit cards when they will apply to such company. Some of the features of FNBO’s extra earnings Visa card include owners to redeem the points they will earn. Account or credit card owners will get 2 points for each dollar they will purchase for the first 12 cycles of billing. This will be applied immediately after the account is opened. After the 12 billings, the account will still earn a point for every dollar purchase. This will continue until the account is used and opened. In terms of redeeming the points when one will earn a total of 2,500 points, the owner of the credit card will be able to acquire $25. This is already a good deal especially when the card is always used. People or individuals who love using their cards will certainly be happy because they can accumulate and save the points they have and get an equivalent prize for it. To those who want to have the best credit card then they can definitely have it with FNBO’s extra earning Visa credit card. Those interested should apply now in their online site.